When the moment of decision occurs, the choice is clear. 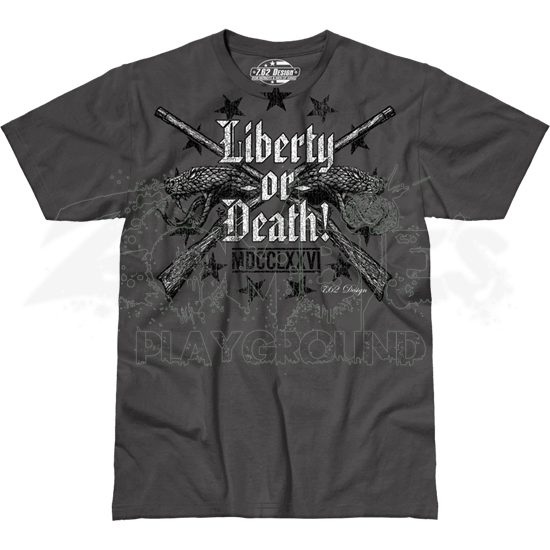 Make your opinion known with Liberty or Death Jumbo Print T-Shirt, which features the resounding phrase spoken by Patrick Henry at the start of the American Revolution. Stand tall and proud as you face any situation with the ideals that built the USA into the dominating force that it is today. Below the text, this patriotic shirt features a quote by Thomas Jefferson, reading, The Tree of Liberty must be refreshed with the blood of patriots and tyrants. A modified Gadsden flag design accents the American t-shirt with a rattlesnake. 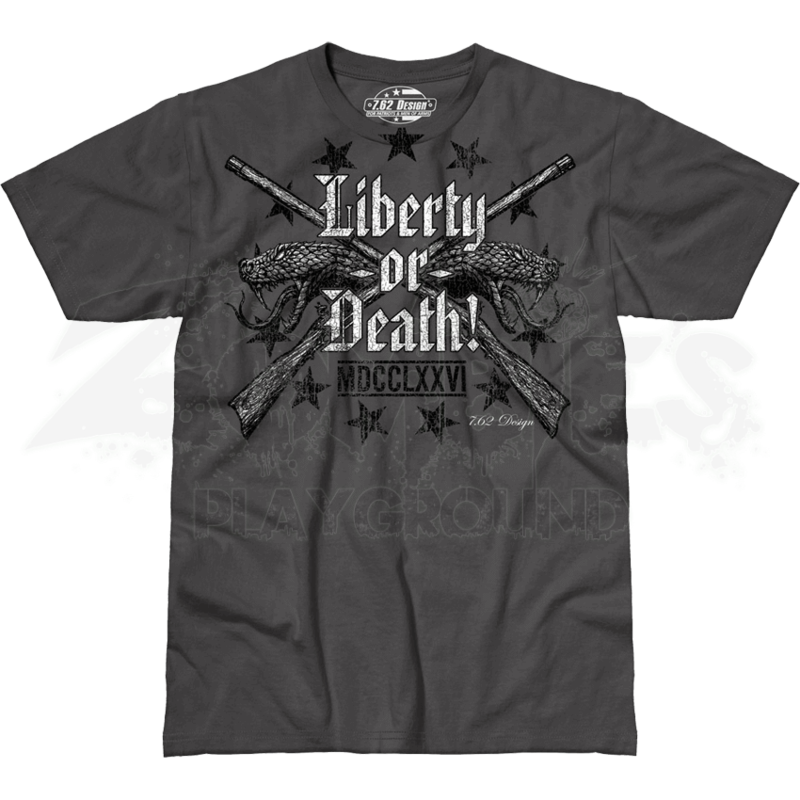 Show your fierce desire for freedom with the Liberty or Death Jumbo Print T-Shirt.